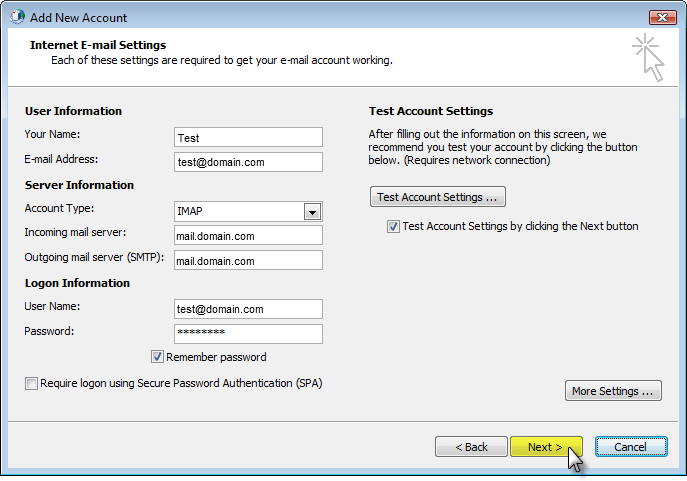 Home/Knowledge Base/Email/How to set up your email account in Outlook 2010? 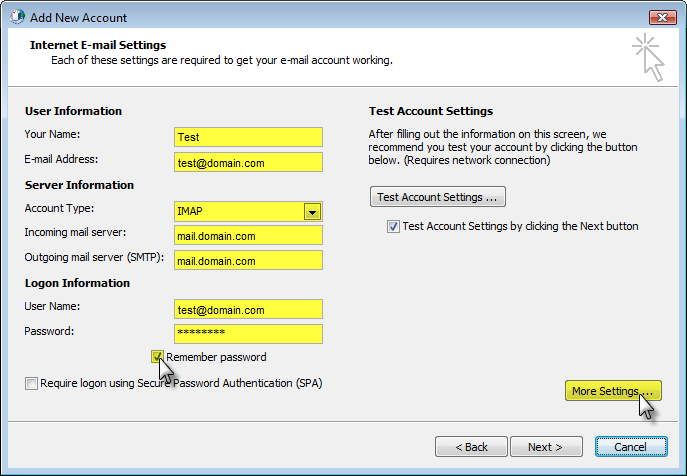 How to set up your email account in Outlook 2010? 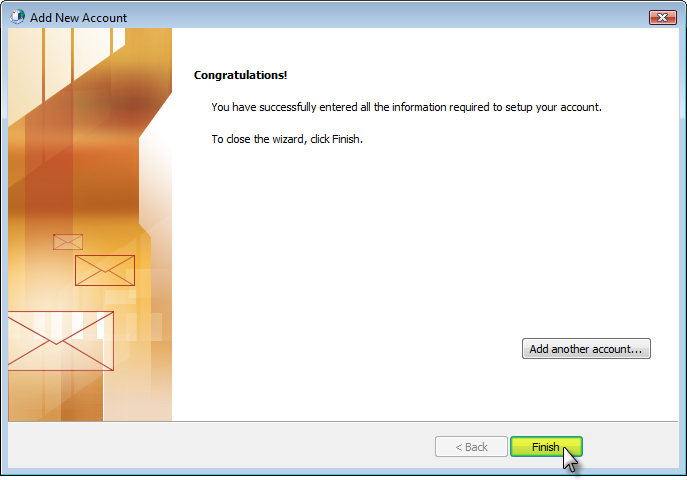 If this is the first time you’ve opened Outlook 2010, the Welcome to Outlook 2010 Startup window will appear automatically. 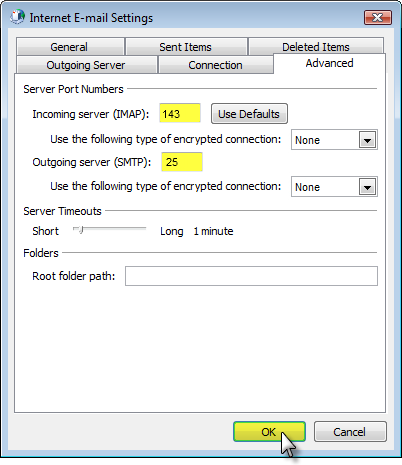 Click Next twice and continue to step 2. 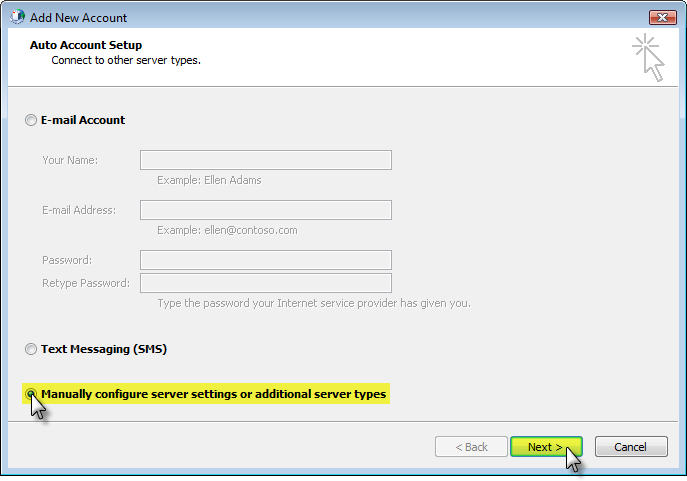 Otherwise click the File tab, make sure Info is selected from the left menu and click Add Account. Select the Internet E-mail type of account and then click the Next. Check the box for Remember password if you do not want to enter your password every time you check or send mail from this account.Click the More Settings button. 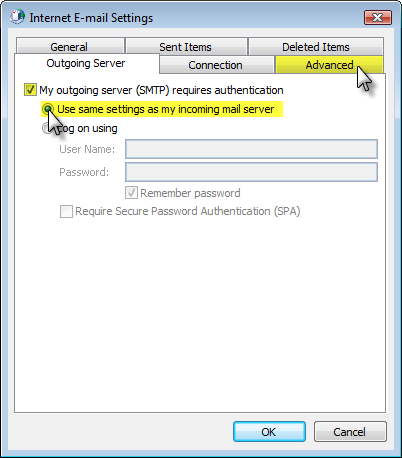 Check the box for “My outgoing server (SMTP) requires authentication” and ensure that “Use same settings as my incoming mail server” is selected.Next, click the Advanced tab at the top of the window. 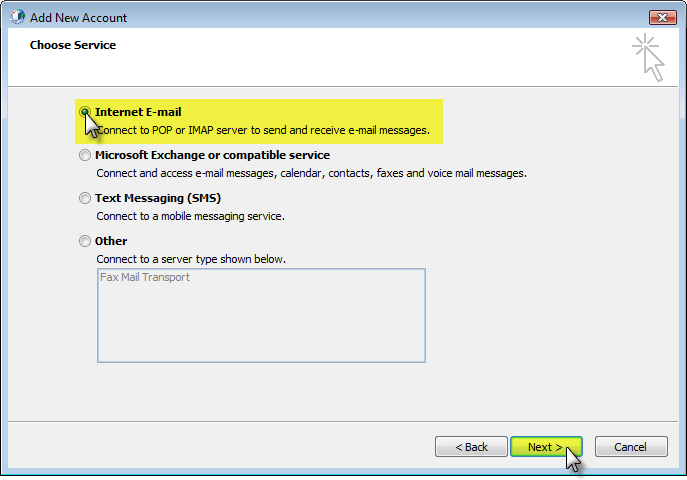 If you wish to access your email account with Outlook 2010, please follow the instructions below on how to set up email with Outlook 2010 (Non SSL). 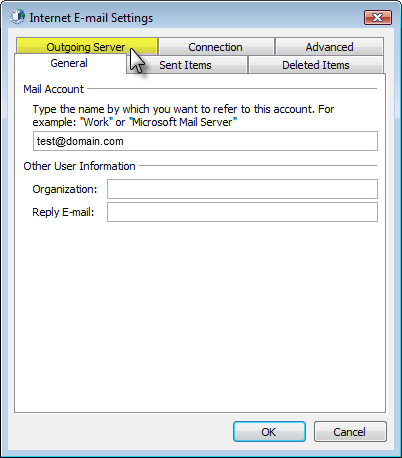 -Outgoing mail server (SMTP): mail.domain.comCheck the box for Remember password if you do not want to enter your password every time you check or send mail from this account.Click the More Settings button.